Proofreading – what’s it all about? My colleague, editor and manuscript critiquer Sophie Playle, invited me to write a guest post for her Liminal Pages blog. Sophie's blog is very much focused on resources for writers, and since she doesn't offer proofreading within her own service portfolio she asked me to explain what I do and how it differs from other editorial functions such as editing. I set up my freelance proofreading business in 2006. Prior to that, I’d worked in publishing houses since graduating in 1989. Publishers, like any other business, have their own jargon. Walk into the editorial or production departments of any publishing house and you’ll hear terms such as ‘casting off’, ‘widow’, ‘orphan’, and ‘demy quarto’. Before I worked in publishing, I thought casting off was something to do with knitting, a widow was someone whose wife had died, an orphan was a parentless child, and demy quarto … honestly? I had no idea what demy quarto meant, but I’d have taken a guess on it being a character in a gangster movie. In publisher-speak, casting off means, roughly speaking, estimating a book’s length. Widows and orphans are the short, stranded lines that appear at the top or bottom of a page. And demy quarto is a book size of approximately 11.25 by 8.75 inches. Now you know! She is the author of several books on business planning and marketing for editors, and runs online courses from within the Craft Your Editorial Fingerprint series. 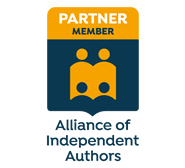 She is also an Advanced Professional Member of the Society for Editors and Proofreaders and an Author Member of the Alliance of Independent Authors (ALLi). Louise loves books, coffee and craft gin, though not always in that order.